Press Release (ePRNews.com) - SACRAMENTO, Calif. - Mar 23, 2018 - ​Jieho Lee, co-founder and managing partner of California-based Knighted Ventures, is one of 22 business leaders under the age of 45 selected by The Aspen Institute in Washington, D.C. as a 2018 Henry Crown Fellow. The Henry Crown Fellowship Program was established in 1997 to mobilize a new breed of leaders to tackle the world’s most intractable problems. All are proven entrepreneurs who, having achieved success, are poised to apply their creative talents and skillsets to building a better society. Henry Crown Fellows spend four weeks over the course of two years in structured retreat, exploring their leadership, core values, visions for a good society and desired legacies. Fellows also launch individual initiatives of their own choosing that will stretch their boundaries and have a positive impact on the community, the country or the world. 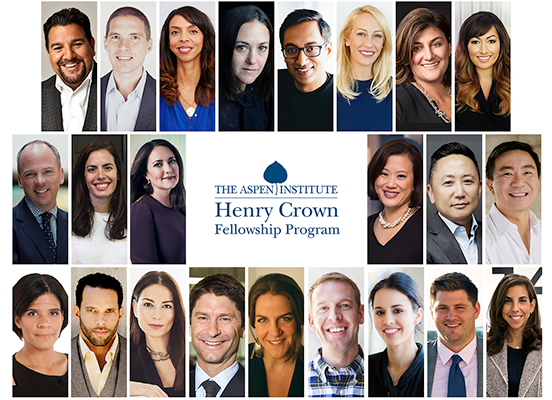 I am honored to be included in this driven and diverse group of innovators, and together with all the Crown Fellows, I look forward to finding new ways to effect profound, positive and enduring change. “I am honored to be included in this driven and diverse group of innovators, and together with all the Crown Fellows, I look forward to finding new ways to effect profound, positive and enduring change,” said Lee, who co-founded Knighted Ventures in 2012 as a small startup looking to make a mark in California’s casino gaming industry as the leading Third Party Proposition Player Services (TPPPS) provider. The company has since grown to employ more than 800 people, all dedicated to impeccable client service and to preserving the integrity of table games through superior asset protection. Prior to starting Knighted Ventures, Lee oversaw business development and marketing for the Asia territories at POM Wonderful. He also served as general partner at Blue Horizon Capital, where he co-led an investment strategy team focusing on acquisitions in the business information sector. In addition, Lee is a veteran of the entertainment industry, with numerous writing and directing credits including the feature film “The Air I Breathe” starring Forest Whitaker, Andy Garcia, Brendan Fraser, Kevin Bacon and Sarah Michelle Gellar. He is a graduate of Wesleyan University’s College of Letters and Cinema Studies program, and holds an M.B.A. from Harvard University. With over 800 employees, Knighted Ventures is the largest provider of Third Party Player Proposition Services for the California Cardroom industry. It is our mission to support casino games and operations by fostering a culture of leaders who are committed to integrity, innovation, and service. Through its community service division, Knighted Neighbors, Knighted Ventures has committed its people and resources to the improvement of communities it serves, partnering with organizations like Los Angeles-based Children in Harmony to expand the cardroom industry’s positive local and global impact. Edward Greenstein's New Book "A Biblical Perspective of the Anointing" is a Straightforward Description of What is Expected of Christ's Followers as Stated in the Bible.